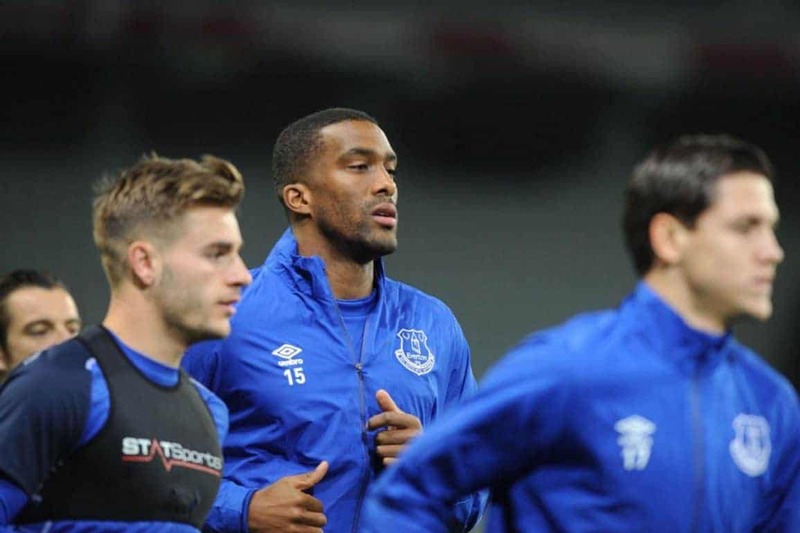 Sylvain Distin has described his six years at Everton as “amazing”. Distin: “There’s a lot of emotions, but that’s football. I’m leaving with plenty of good memories and a big smile on my face. “It’s always going to be a pleasure to come back here. “I think the fans have a lot of passion and sometimes that can create a clash but when you see what happens today you realise it’s love – and there’s no love without passion. “We gave everything and that’s representative of Everton – the fighting spirit. That’s what marked me in my first week here and I realised it was a special club. “Before I left I made sure I explained to the guys they have something really special and they need to fight to keep it because it’s a special club and a special atmosphere and you don’t see that everywhere. “I spent six amazing years here full of great memories and I met a lot of nice people. I’m not just talking about the guys I play with every week – it’s the girls working in the kitchen and you guys, pain the arse asking for interviews every five minutes!